Tempurpedic TEMPUR® material is viscoelastic and made up of billions of spherical shaped, open cells that are temperature and weight sensitive, allowing it to become softer in warmer areas (where your body is making the most contact with the surface) and remain firmer in cooler areas (where less body contact is being made). Therefore, Tempur material is able to conform to any body shape or size even the hard to reach lumbar area of your back. Foam is not as sensitive to temperature and will not conform to your body's unique shape. By definition, latex is a rubber particle suspended in water. There are 2 types; NR or natural rubber and SBR (styrene butadiene rubber) or man made latex. All latex is either a blend of the two or 100% natural latex. Brazil provided the world with the rubber tree, hevea brasiliensis. In 1876 the British government exported seedlings to London for further development. From there seedlings were exported to Sri Lanka and Indonesia where they thrived and the tapping technique was discovered. Over the next several decades the British in Sri Lanka and the Dutch in Indonesia cleared vast amounts of rain forest to create the rubber tree plantations of today. Memory foam is made from polyurethane with additional chemicals that increase its viscosity level, thereby increasing its density. It is often referred to as visco-elastic polyurethane foam. Depending on the chemicals used and its overall density, it is firmer in cool temperatures and softer when warm. Higher density memory foam reacts to body heat which allows it to mould itself to the shape of a warm body within a few minutes. 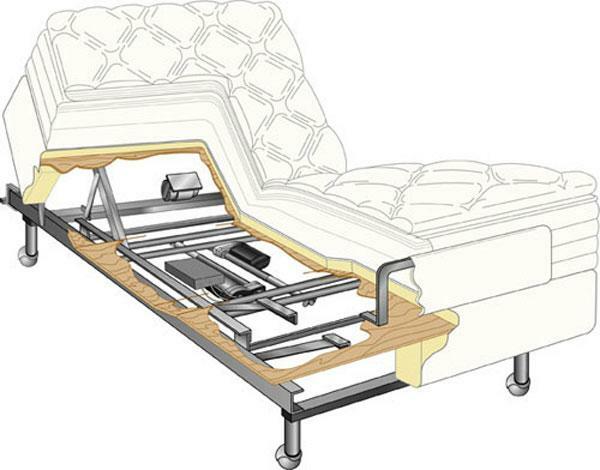 A lower density memory foam is pressure-sensitive and will mould more quickly to the shape of the body. The example often used to demonstrate its properties is that a hand pressed into the foam and then removed will leave a clear impression in the foam. Pocket coil mattresses offer one big advantage over traditional spring mattresses: you aren't disturbed by your partner's tossing and turning. 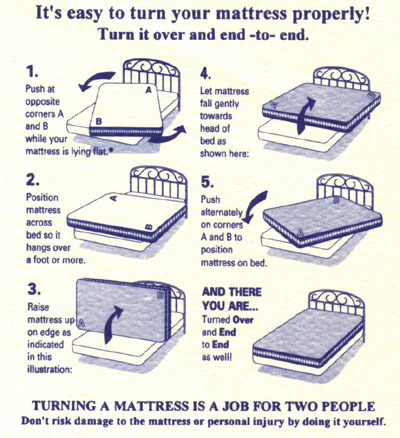 Unlike conventional spring mattresses, each spring is contained in its own pocket, so move movement of one spring doesn't cause movement of other around it. The pocket coil mattress isn't new; Simmons has been producing a pocket coil mattress since 1925. Trademarked as the “Do Not Disturb” mattress, Simmons claims that its pocketed coil reduces more motion between partners than any other mattress in the industry today. 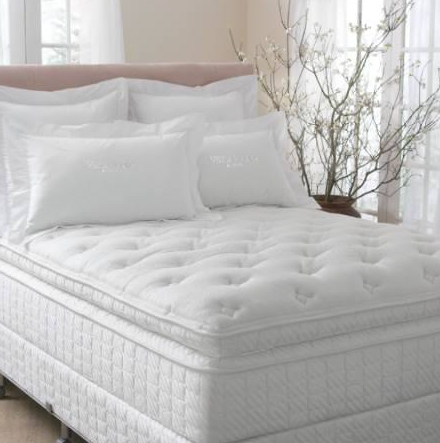 Depending on the size of the mattress and other options, the Simmons Beautyrest ranges from mid-price range to expensive. 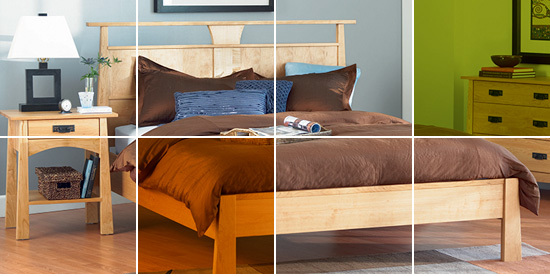 When Purchasing a Mattress be sure you pick a comfort level that suites your needs. Remember one third of your life requires sleep and rest. Read your warranty because not to many people do,check if your purchase has a trial period and any terms for return the vendor may have if you are not happy with your purchase.Happy dreams. Most Mattresses manufactured are non-flipable but should be rotated top to bottom every three months.A flipable mattress should flipped and rotated every three months also, to reduce constant compression at the same points of the mattress top . Twin Size Mattress Dimensions 39" x 75"
Twin XL Size Mattress Dimension 39" x 80"
Full Size Mattress Dimensions 54" x 75"
Full XL Size Mattress Dimensions 54" x 80"
Queen Size Mattress Dimensions 60" x 80"
King Size Mattress Dimensions 76" x 80"
California King Mattress Dimensions 72" x 84"
Use the bed size table to help fit sheets, comforters, quilts, bedskirts, and other bedding items. The twin size bed, full size bed, queen size bed, king size bed, and california king size bed measurements are all close enough among US bedding manufacturers that you should not have any problems fitting bedding. Check bedding sizes against mattress sizes to be sure comforters, bedspreads, quilts, duvet covers, and top sheets have a long enough drop to cover the thickness of your mattress measurements. BONITA SPRINGS, Fla. — The International Sleep Products Assn. is tackling a green challenge. The bedding industry's trade association, meeting here at its fall Industry Conference and Exhibition, discussed a number of green topics during its educational program and the group's board approved establishment of a task force to bring clarity to green mattress issues. The board said that a main objective of the new task force will be to recommend how the industry should address consumer and market confusion about various claims made regarding the environmental qualities of mattresses. ISPA said the task force will work closely with the Specialty Sleep Assn., which held a green summit earlier this year and pledged to tackle the issue of defining terms such as "green" and "natural." SSA members said at the summit that they wanted to address that issue on a voluntary, industry-wide basis rather than be forced into action by governmental agencies. In announcing its plans to establish a task force, to consist of a cross-section of small, medium and large mattress producers, in addition to other industry members, ISPA said that the SSA expects to announce early next year the results of its initiative to define key environmental terms and identify existing green standards that may apply to mattresses. • What terms should be defined, and how should they be defined? • What are the pros and cons of developing a standard scoring system for green products? Who should develop such a standard? • What are the pros and cons of existing label and seal programs? Who would administer such programs? • How much would these different approaches cost individual companies, and how much would they cost ISPA? ISPA addressed a number of other topics at its conference, including how the current recession has altered the American consumer's spending patterns, how to market with social media, and how to better meet consumer expectations in order to boost sales. The attendees also shared their thoughts on the future of ISPA. ISPA Chairman Don Wright, chief marketing officer at supplier Wright of Thomasville, announced that ISPA trustee Bryan Smith, president of Southerland Inc., will chair an executive search committee that will recommend who should fill the vacant position of ISPA's president. HIGH POINT — Upholstery and upholstery fabric maker Culp has revised expectations upward for the fourth quarter ended May 2, saying mattress fabric sales were better than expected because of consumer demand. Mattress segment sales are expected to be up 26% over the fourth quarter a year earlier, and sales for upholstery fabrics are expected to rise by 13% over the prior year period. The mattress ticking number is sharply higher than a previous forecast. The company said it expects pretax income for the fourth quarter to be in the range of $4.7 million to $5.1 million. Previously, the company had forecast pretax earnings of $3.5 to $4.2 million. "Our projected financial results for the fourth quarter reflect better sales growth than anticipated in our mattress fabrics business, driven by significantly improved consumer demand in the bedding industry," said Frank Saxon, president and CEO. "While we continued to see favorable growth trends in our upholstery fabrics business, we believe consumer demand for furniture was not as strong as for bedding during the quarter. "Overall, we are very pleased with the progress we made in the fourth quarter and in fiscal 2010," he added. "Looking ahead, although we are optimistic about the outlook for the bedding and furniture industries, we are beginning to experience higher raw material costs in both segments and increased pricing pressure in our mattress fabrics business." The company expects to report results for the fourth quarter and fiscal 2010 in mid-June. Mattress Inspection Which is Part of of the Furniture Repair Industry is Designed by mattress and Bedding Manufacturers to Determine if a mattress is defective and requires Replacement according to the specific warranty guide lines set by the mattress producer. Although guide lines may vary from one manufacturer to another, most mattress inspections involve approximately the same procedures. First the mattress in question must be in good condition and free of any stains or abuse, second the mattress must have the proper frame or support system, After these two qualifications are met The coil system is checked for any that may be detached and the modules and frame work of the box spring for any breaks are checked.Then all the stitching on the tape edges around the sides top and bottom and the skip stitch on the top of the mattress which may be sewn in in a variety of decorative designs, this holds the very top layer of foam in place are checked for defects. 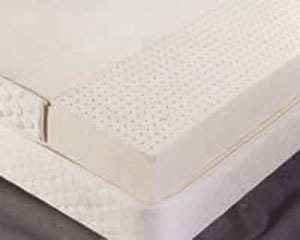 Finally the mattress top is measured for a body impression measuring the depth of the impression if the depth exceeds the manufactures allowance or if any of the above steps are found not to be within the manufacturer guide lines the Purchaser may be validated with a replacement mattress. If The mattress passes the guidelines and is up to manufacturer standards replacement is denied. A mattress warranty depending on the manufacturer can generally span from 10 to 20 Years.